The use of the new “trolley” allowed the curb weight of the hatchback to be reduced by 30 kg, improve aerodynamic characteristics, acoustic, vibration and climatic comfort, reduce tire rolling resistance and friction in the drive and equip with auxiliary systems available for cars of more expensive segments. The new “208” has become longer, wider and lower than the former, but the exact numbers in the company are not called. 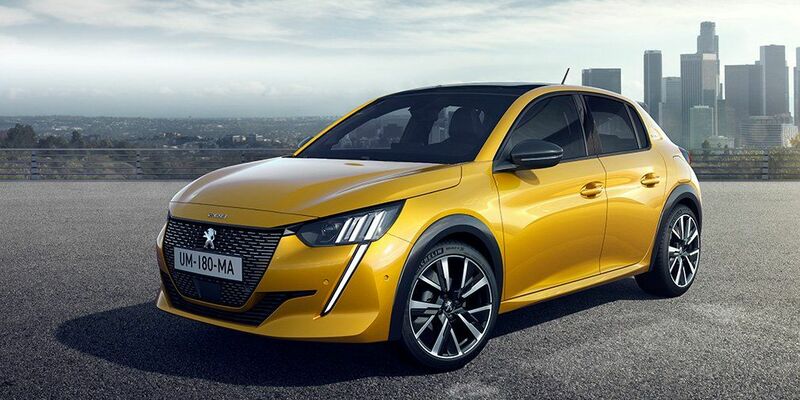 The main feature of the new Peugeot 208 was the emergence of a fully electric modification of the e-208. This car is equipped with a 139-horsepower electric motor, which develops 260 Nm of torque, and a traction battery with a capacity of 50 kW • h, providing a power reserve of 340 km without recharging in the WLTP cycle. There are three driving modes to choose from: Eco (maximizing mileage on one charge), Normal (every day) and Sport (activating the full dynamics, which means acceleration from zero to 100 km / h in 8.1 seconds).